Here at our house, playing outside in the cool summer evenings is one of our favorite things to do. Our children just cannot wait for daddy to come home so we can all go outside and play! I don't go out much when I am alone with my three little ones...it is so much easier with another pair of hands. :) So, after dinner, the whole family usually heads outside. We either go for a long walk, stopping at a school playground for some fun, or we play in the backyard. Several years ago, my husband and I really enjoyed playing frisbee together...although I really didn't play that well. Hubby spent most of the time running to retrieve the frisbee from the neighbor's yard or the shed roof. Yeah...athletic I am not. But, I try. We are trying to teach the children how to properly throw a frisbee and they are learning quickly. The biggest problem is trying not to get hit in the head when one of them throws it...they are pretty wild! Have you ever heard of Aerobie? This is a company that specializes in all things fun-for indoor or outdoor play, Aerobie is your source for endless playtime entertainment! The main products that Aerobie manufactures are flying discs and rings. If you are a frisbee fan, then you are going to love Aerobie's product line! Today, I am going to introduce you to another great product from Aerobie and that is the AeroSpin Yo-Yo! So, for this review I was sent a red AeroSpin Yo-Yo and I was very excited to try it out! I will admit to you all today that I never was very good at using a yo-yo. This particular yo-yo is very pretty...I love the glittery label! It sure does look flashy when being used. :) The rubber edges make this yo-yo safe for indoors (furniture and walls do not get damaged) as well as outdoors. One thing that I really appreciate about this particular yo-yo is that it comes with a book of tricks. This is SO important for someone like me who has no idea how to use a yo-yo. You may all laugh at me, but when I first opened it, I could not even figure out how to wind the string up. Ok. Stop laughing. Good thing I had the booklet! There are all sorts of tricks in this book and some of them look pretty wild!! My husband really knows how to play with yo-yo's so I had him be my model for this review. He was pretty impressive! The picture above is just a normal throw. Our children are enthralled with this new toy and I cannot wait for them to get bigger so they can play circles around daddy and mommy! Right now, they just like to wind and unwind it...but they will learn eventually. The Aerobie AeroSpin retails for $19.99 and can be purchased from Amazon.com and other retailers. The recommend starting age for this toy is age 5. Disclaimer: I received no monetary compensation for this post. I did receive a free AeroSpin for review purposes. All quotes and stock photos are from the Aerobie website and email. Prize is being provided and shipped by the sponsor. All thoughts and opinions are 100% mine. I like the orbiter boomerang. I would like to see more pre-school age products. I'd like to try the Rocket Football. I'd like to see more reviews/giveaways of men's products...especially shoes and clothes. The Aerobie® Superdisc™ Ultra looks cool! I would like to see you review and giveaway dog toys. I would like to try the aerobie ring. The skylighter disc looks like something I would like to play with with my son! I would definitely like to see you review some Aveda products! The Aerobie Football sounds like a good thing if you're as good at throwing footballs as you are at yo-yoing. As for other things, It's nice to see things that are new, odd and innovative. I like the Squidgie Ball. I love the orbiter boomerang! I would like to try the Skylighter Lighted Disc. I would like to see more products for the Kitchen. 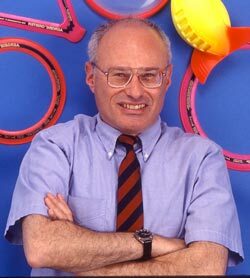 I'd like to try the Aerobie® Superdisc. I like the Orange Orbiter Boomerang. Too cool. kristiedonelson(at)gmail(dot)com Thank you. The Orbiter™ Boomerang looks fun! I would get the Dogobie Disc for my dogs. would be fun for summer night playing. The coffee press would be nice to review. The Aerobie® Rocket Football looks like fun. I like the Aerobie® Orbiter™ Boomerang. I always like the reviews for cereals. There are so many brands and varieties, it helps to have an opinion. I really would like the superdisc ultra. I would like to try the Orbiter boomerang. I'd like to try the skylighter disk. The Aerobie Skylighter disc looks fun! I would like to try the Orbiter™ Boomerang. The AeroPress Coffee and Espresso Maker. The rocket football looks like a blast! I like the Megatop™ Spinning Top is the other product I love. I would like to try the Aerobie® Superdisc™ Ultra in purple. 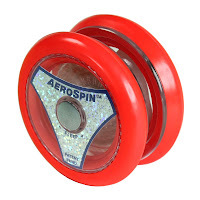 I'd like to try the Aerobie® AeroSpin™ Yo-Yo in Red, please.